The Precision Kinetic Collection embodies all qualities of perfection. A patented kinetic mechanism provides the reliable movement of the 1/2" ultra clear Precision Starphire Glass. The kinetic door mechanisim is available in a satin or high polished finish. Precision Clarvista glass will guarantee the maximum brightness and clarity of your enclosure. The Collection also features a true frameless design, there are no channels. 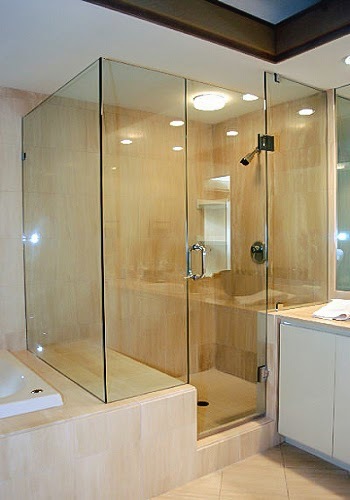 Shower Doors, we only use the highest quality materials for our skilled craftsmen to manufacture, build, and install our shower door enclosures. The expert team at Precision Shower Doors can help determine which of our shower door products can deliver both the stylish look and functionality you need for your next bathroom renovation.